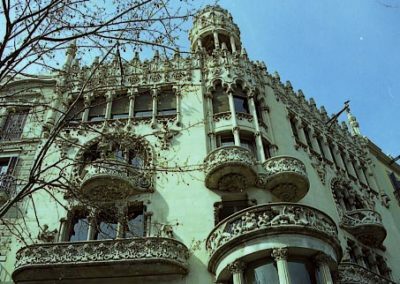 Visits: This is a private owned building and visits are only allowed under special conditions. 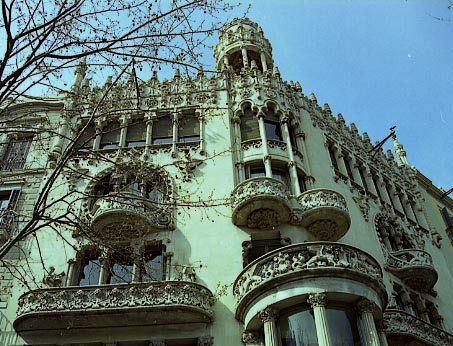 Project of the architect Lluís Domènech i Montaner, made in 1902. 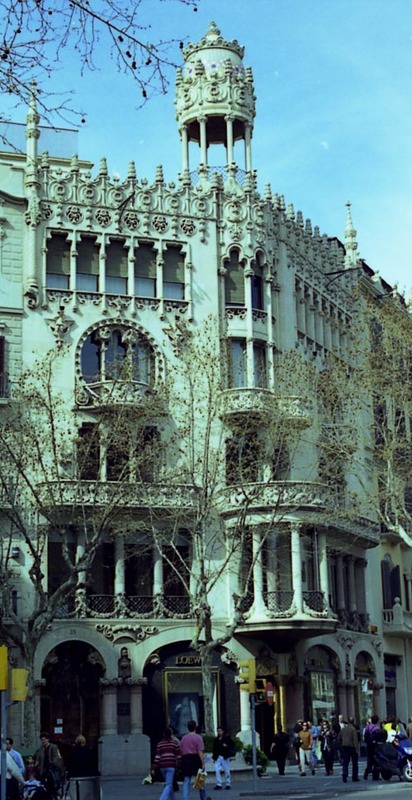 Award of Barcelona Municipality of 1906. 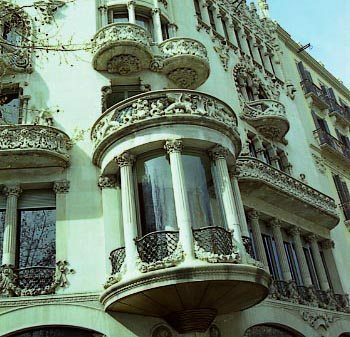 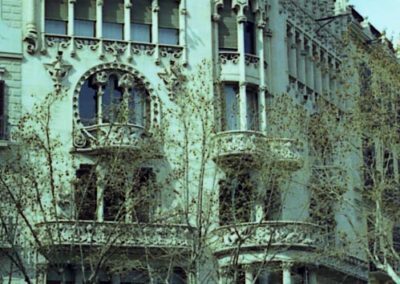 This is one of most magnificent houses of one of most important avenues of Barcelona, the Passeig de Gracia inside of the area named El Quadrat d’Or (Gold square). 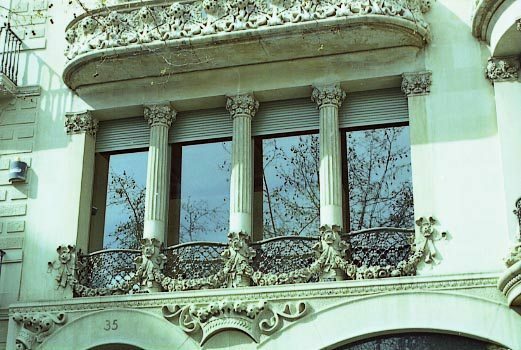 The façade, unfortunately truncated, had some extraordinary sculptures by Eusebi Arnau. 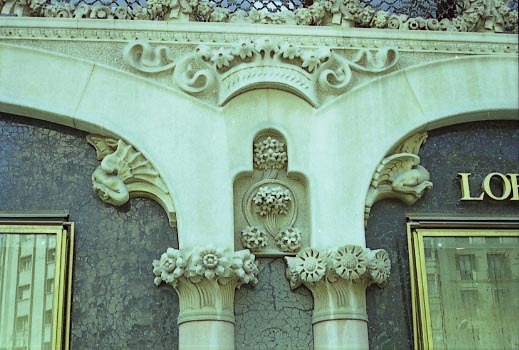 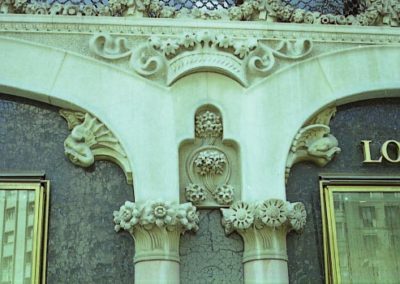 That sculptures were one of the capital elements of the building. 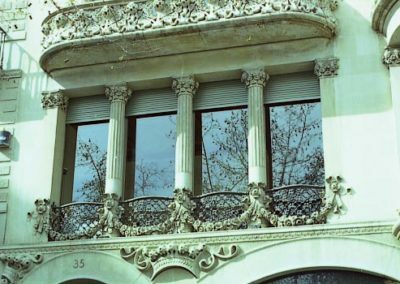 Some of the basic collaborators of Domènech i Montaner (following Permanyer) in that building were the mentioned sculptor Eusebi Arnau, Antoni Serra i Fiter for the ceramics, Lluís Brú and Mario Maragliano for the mosaics and Gaspar Homar for decoration and furniture.